For moe information on how to increase the value of your Louisville Home, or to view Louisville homes for sale, contact Family Realty, LLC today by calling us at 502.458.4100 or CLICK HERE to connect with us online. One of the most important things you can do when buying a Louisville home is to have it inspected before you agree to purchase it because, a home inspection can literally save you thousands of dollars and the hassle of buying a home which may be more trouble than it’s worth. In today’s post we will provide you with 3 home inspection mistakes and how you can easily avoid them. 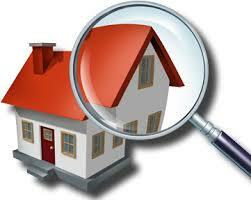 Just because you may be planning on buying a new home that doesn’t mean you should not have it inspected. Many times there may be problems with a home which may just beginning to appear under the surface and you will never see these problems yourself unless you hire a home inspector to thoroughly inspect the home before you agree to purchase it. Although it’s easy to choose a home inspector during the age of the Internet, you want to make sure that you’re choosing someone who is competent, reliable and trustworthy. This is done by reviewing a home inspectors profile on the Better Business Bureau website, reading their feedback online and doing your due diligence to make sure that the home inspector you hire is someone who is really trustworthy and legit. Last of all, one of the biggest mistakes any home buyer can make with the home inspection is not complying or going along with the home inspection. Never underestimate the serious nature of a home inspection report, you want to take into account everything your home inspector has reported and get those problem areas fixed since it’s easy to let a small problem grow out of control and into a bigger problem. For more home inspection tips which you should avoid, or to view Louisville Homes for sale, contact Family Realty, LLC today by calling us at (502) 458-4100 or click here to connect with us online. 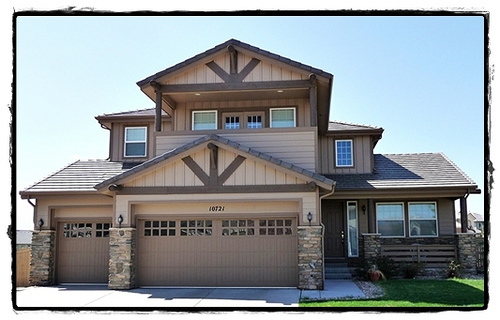 Are you thinking about buying a home but aren’t sure how to get started? You’ve come to the right place! 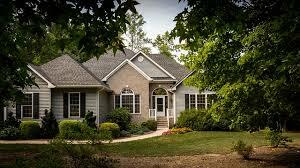 In this post we will share with you 10 secrets to buying your first Louisville home. 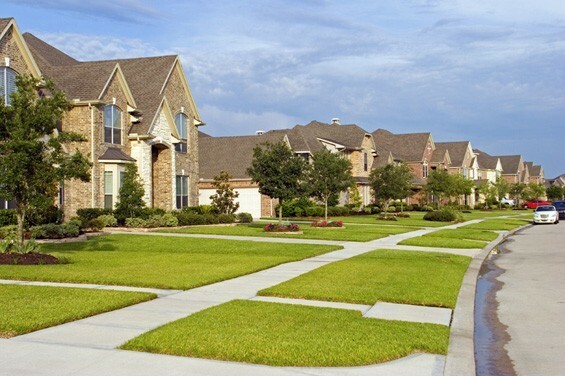 One of the first things you should do when you’re planning on buying a Louisville Home is research area neighborhoods so you will know exactly where you want to live in Louisville Kentucky. 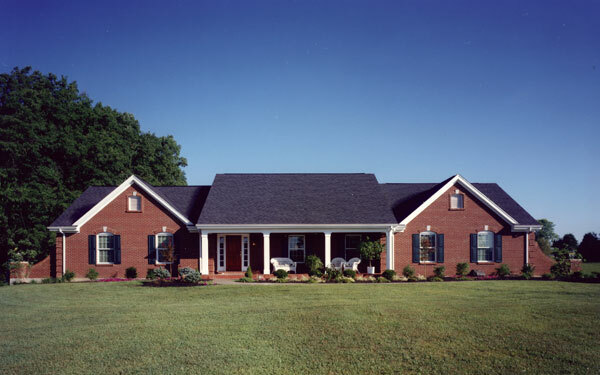 An essential step towards buying a Louisville Home is to pull your credit reports just so you know exactly what’s being reported about you by the major credit reporting agencies like: Equifax, Experian and Transunion. Although saving at least 20% for a down payment on a home is key, you should also save at least 3% to 5% of the homes purchase price to pay for closing costs. Pre-approval is an important step towards buying a home because, this will tell you the exact amount of money you have to work with when you buy a home and it will also put a homeowners mind at ease when they realize that your financing is secure. It’s tempting to wait for the perfect time to buy a home because, the Real Estate market and mortgage interest rates are always changing but the reality is that the best time to buy a home is when you have the money and find a home which will be perfect for you. Before agreeing to buy a home you should always have it professionally inspected since this will also help you to know what problems the home may potentially have underneath the surface. For more tips on buying your first home contact Family Realty today by calling us at (502) 458-4100 or click here to connect with us online. 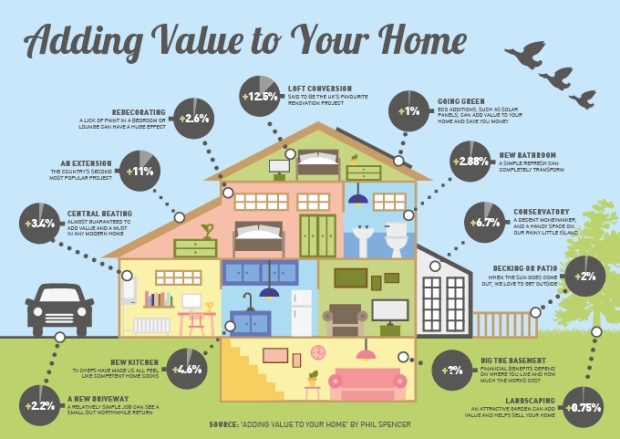 For more information on how to increase the value of your Louisville home, or to speak with us about listing your home for sale, contact Family Realty, LLC at 502.458.4100 or CLICK HERE. If you’re a Louisville Kentucky Home Buyer one common thing you may be seeing right now is that it’s a sellers-market out there. Thanks to a huge demand for homes most homeowners are able to enjoy multiple offer situations for their homes and this doesn’t make it easy for the Louisville Kentucky Home Buyer who wants to stick with their budget while facing the prospect of multiple bidders for the home they want to buy. In today’s post we will offer you 3 important things you can do to be a smart home buyer even during a sellers-market. Before you even start your home search the smartest thing you can do as a Louisville Kentucky Home Buyer is to think about your credit now. You can pull you 3-in-1 credit report online to see what the major credit bureaus including: Equifax, Transunion and Experian are reporting about you then resolve any inaccurate information. Take the time to get yourself pre-approved for a mortgage loan. This step is important since it will also show a homeowner that you’re a serious home buyer with their financing in order and able to make a qualified offer on their home. Last of all, but most important, one of the key things you can do as a Louisville Kentucky Home Buyer is stay within your budget and not purchase a home you can’t afford. Yes it may be tempting to go $30,000 or more over budget when buying a home but think about what that ultimately means to your monthly budget and ask yourself if you can afford the extra cost along with paying your regular bills and debts. To learn more about important steps you can take as a Louisville Kentucky Home Buyer, or to view the latest homes for sale across town, contact Family Realty LLC today by calling us at (502) 458-4100 or click here. Why Use A Realtor To Help You Buy Or Sell A Louisville Kentucky Home? 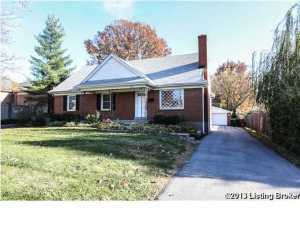 Right now is a great time to buy or sell a Louisville Kentucky Home. Thanks to warmer weather, longer days, great mortgage interest rates and buyer demand, more people than ever before are thinking about buying or selling Louisville Kentucky Real Estate, but few people actually know what the real value is that they receive when working with an experienced agent. In today’s post we will break down the value you will receive when you decide to work with an agent and what to expect regardless if you’re thinking about buying or selling a home. It’s not an easy decision to buy a home especially when you factor in all of the paperwork, preparation, home search and everything that comes with the home buying process. Home Search – Your experienced Real Estate agent will help you to find the right home which matches your home search criteria. They will save you time and money alone during the home search since you won’t have to waste time searching for a home yourself and your agent may know of new listings which are coming to the market even before they are listed online. Negotiation – Instead of paying more money for a home than what it’s worth your agent will insure that you don’t overspend on a home even if there are multiple buyers. Trusted Advisor – Another great aspect of hiring a Louisville Realtor is that you will have someone working as your advocate and trusted advisor to be there for you when buying a home to answer questions or concerns, and assist you with any problems or needs you may have after your offer has been approved. Paperwork – Working with a licensed Louisville Kentucky Realtor also means you have someone on your side who will guide you through the sometimes complicated paperwork you will need to sign when buying a home. Marketing – The experienced Louisville Realtor that you choose will help you market your home both online, offline and in the local area. Price point – Instead of having to come up with a price point for your home, your agent will set the correct price for your Louisville home so you can have confidence that you will be able to sell your home for the most money. Service – Imagine to meet with buyers, schedule appointments, answer questions, and do all of the legwork which comes during the process of selling a home. You won’t have to worry about doing any of these things since your professional Real Estate agent will be ready to handle all aspects of your home sale so you won’t have to. For more information on buying or selling a Louisville Kentucky home contact Family Realty today by clicking here or calling us at (502) 458-4100 or click here to connect with us online.